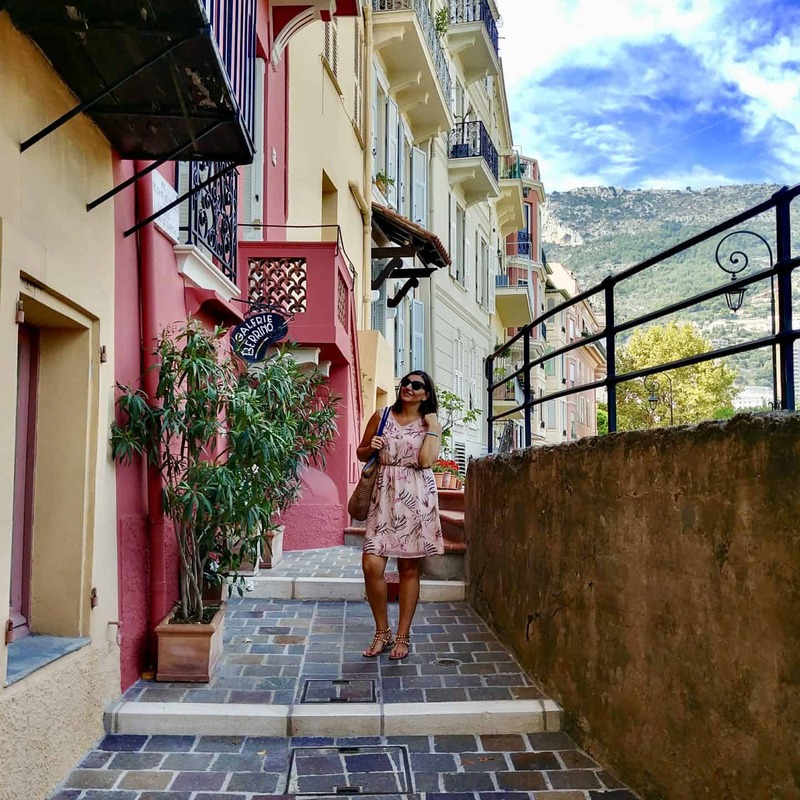 When researching places to visit on our recent trip I came across pictures on Instagram of Monte Carlo and knew my husband always wanted to visit. 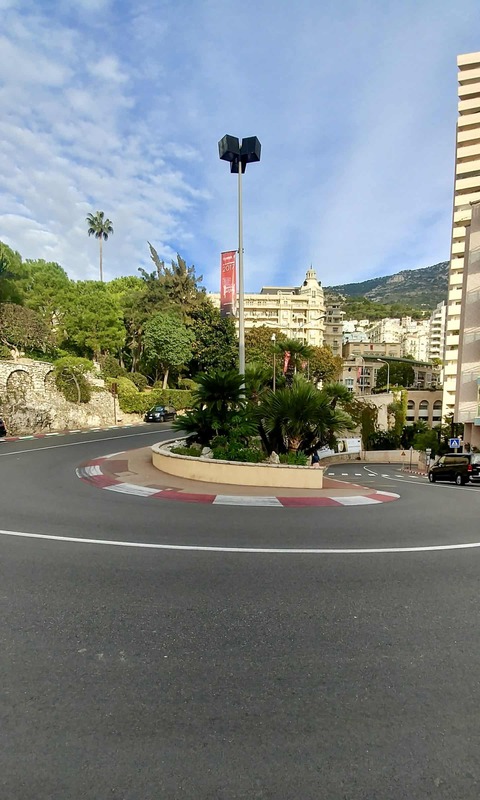 Although we didn’t visit during the Grand Prix, my husbands dream, we did stay at the iconic Fairmont Monte Carlo hotel that is situated on the famous F1 hairpin turn – that’s close enough, right! 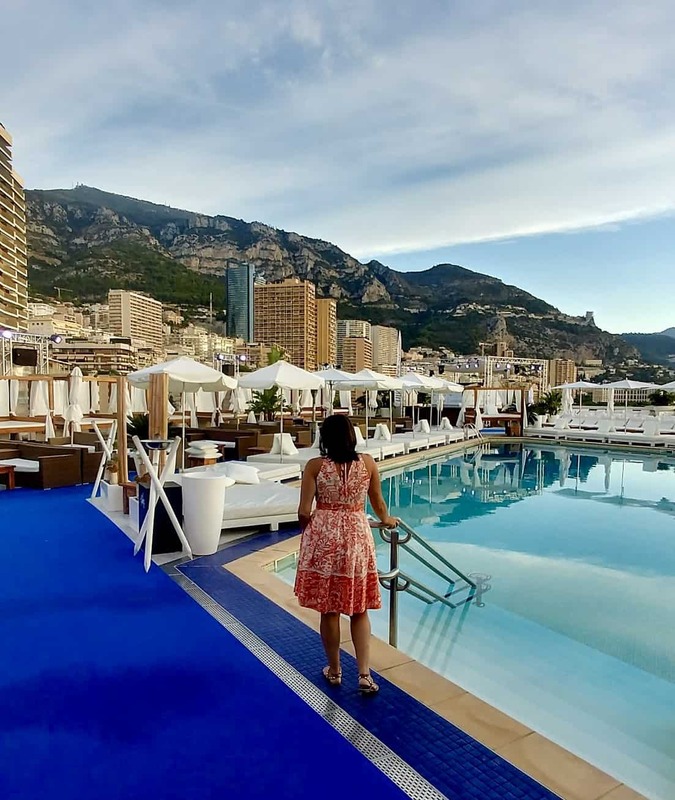 The Fairmont Monte Carlo hotel is a unique four-star luxury convention resort located right in the heart of Monaco nestled in between the Mediterranean Sea and the legendary Monte-Carlo Casino. 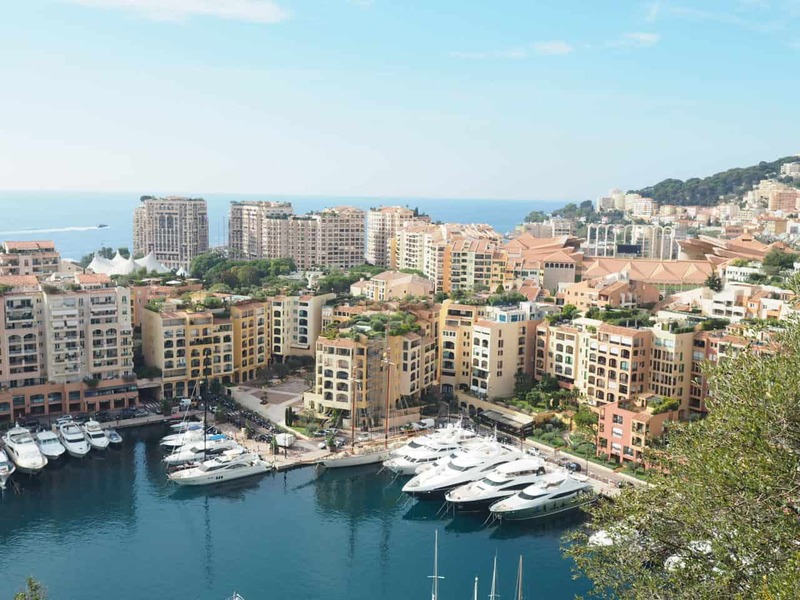 Whenever we think of Monaco we think of the elite rich and famous with their expensive yachts. 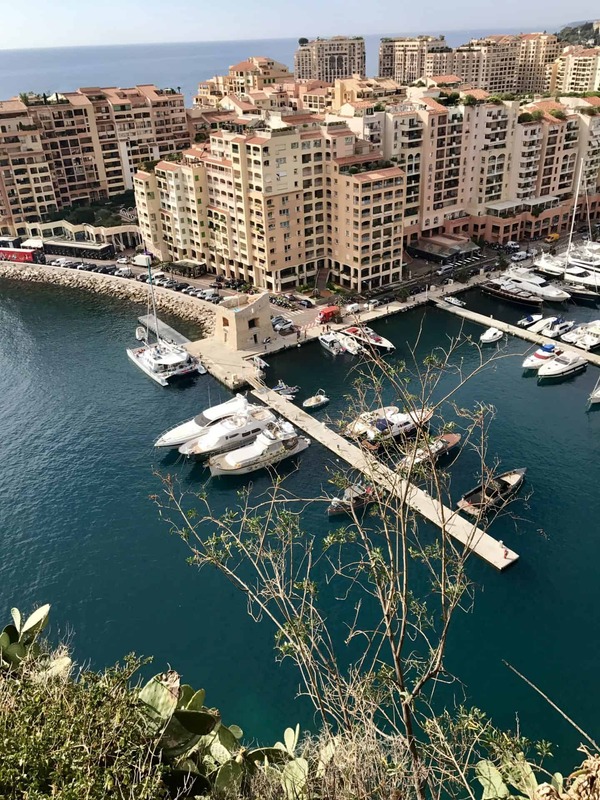 Oh, it is that and much more, but it is also an amazing destination even if you can’t quite afford that million dollar yacht. 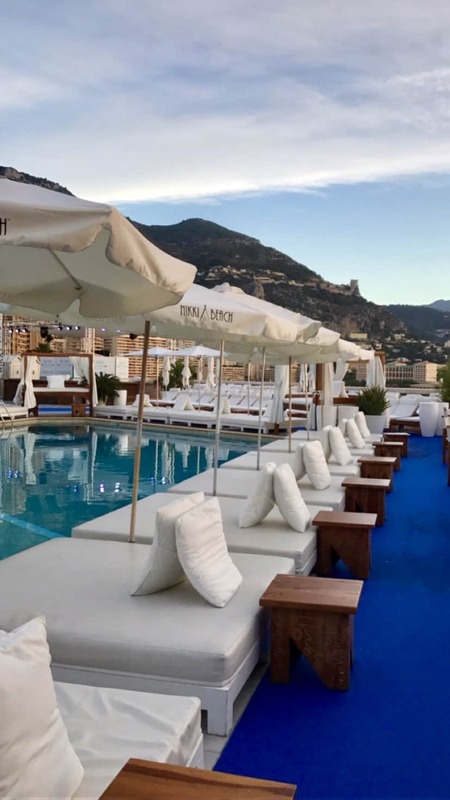 The Fairmont Monte Carlo is nestled between the famous hairpin bend of the Grand Prix track and the Mediterranean Sea, the Fairmont is an ideal base from which to explore Monaco. 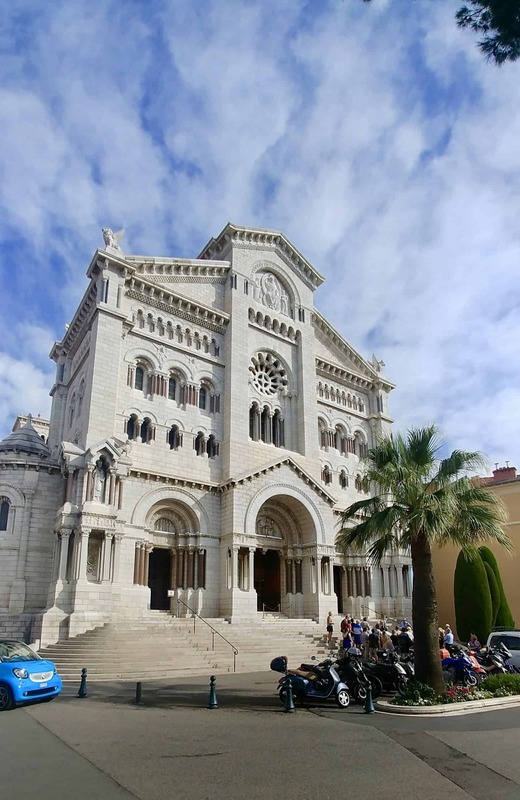 It’s only minutes from sights such as the Monte Carlo Casino, Champions Promenade, old town Monte Carlo, and some of the most exclusive designer boutiques for shopping……..and dreaming. 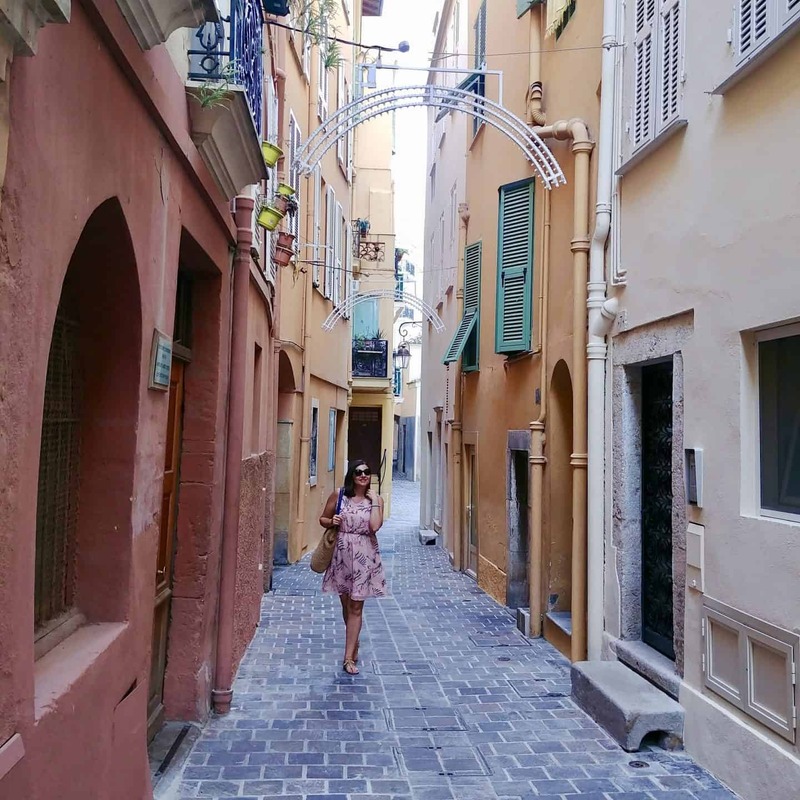 In the short time that we spent in Monte Carlo, we absolutely fell in love with this city. 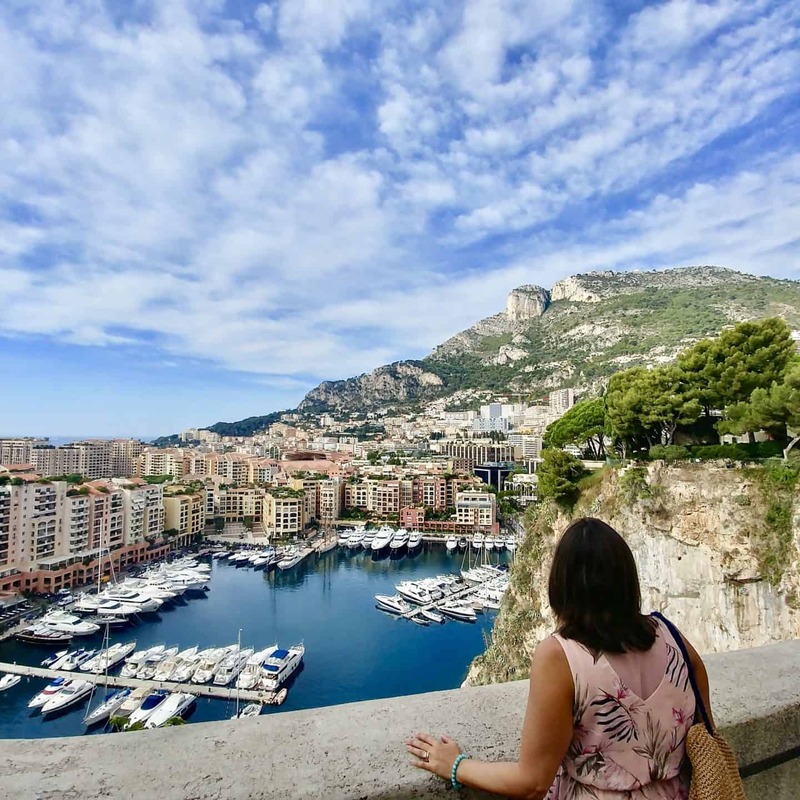 Monte Carlo is magical with all the stunning views, beaches, and amazing food. I absolutely love the quiet old town charm with the narrow, cobblestone streets. We were greeted with friendly faces upon our check-in and quickly whisked up to our room. 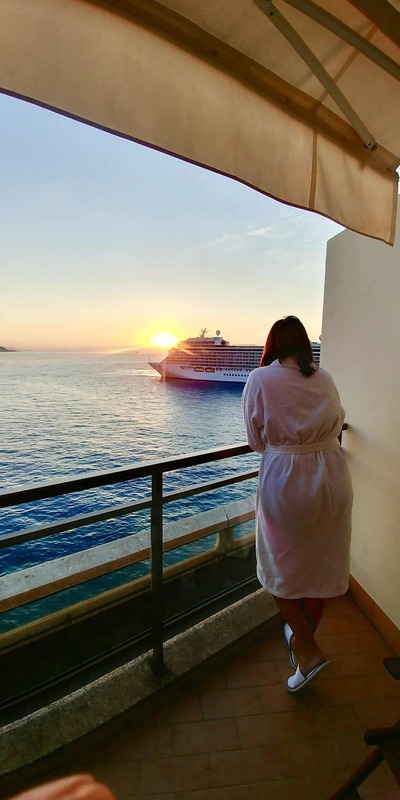 The rooms doors each have a port hole for the look and feel of staying on a ship, the hotel is after all situated on the Mediterranean Sea! We entered our room with anticipation and we were not disappointed. One entire wall of the room was a glass sliding door that once opened revealed the most spectacular views. The view took our breath away. 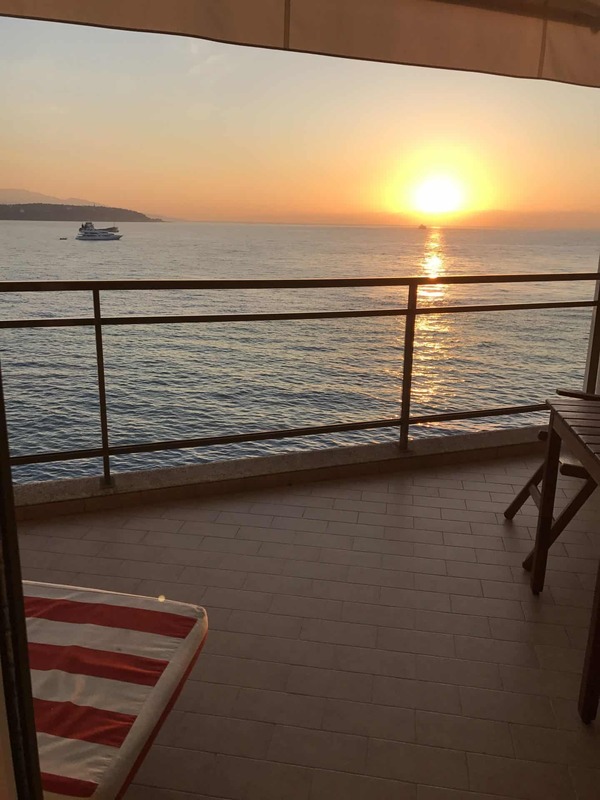 We had our own private balcony with a sun lounger and a small table and chairs. We quickly made our morning coffee and just sat on our private balcony taking in all the views. It was a pinch me moment. The views looked like we were looking at a post card. If you’re looking for some poolside time, then Nikki Beach on the hotel rooftop is for you. Grab a sun lounger or your own private cabana and stretch out and enjoy the breathtaking views. 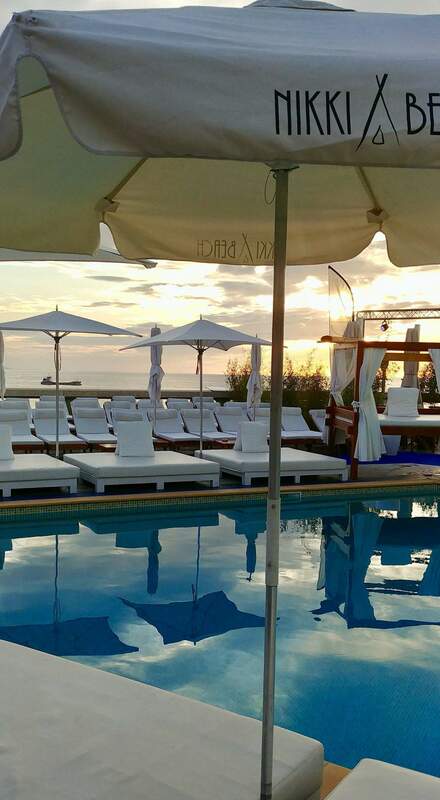 Nikki Beach is the place to see and be seen. We visited the roof top pool during the early morning hours before it quickly filled with hotel guests. 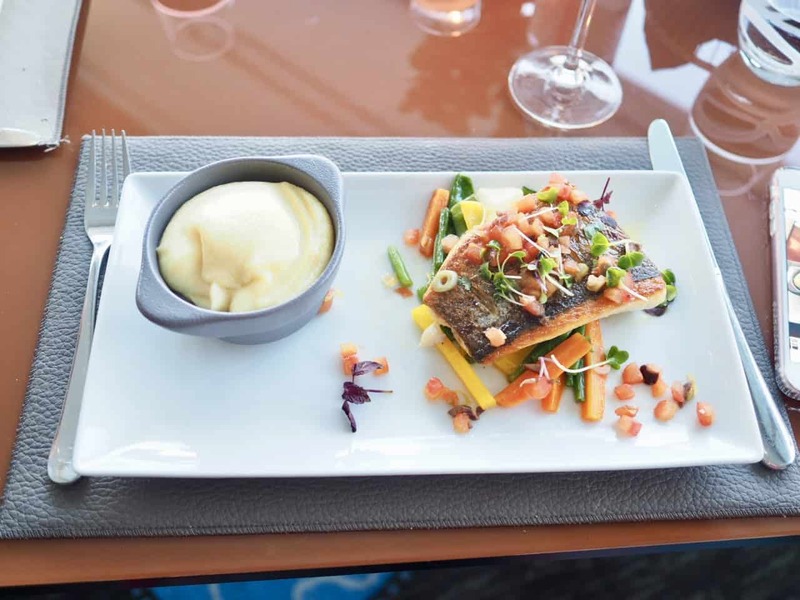 I’m not sure which is better at Saphir24 bistro, the food or the views. I’m glad we got to dinner early enough to enjoy these views as it began to get dark around 7pm. 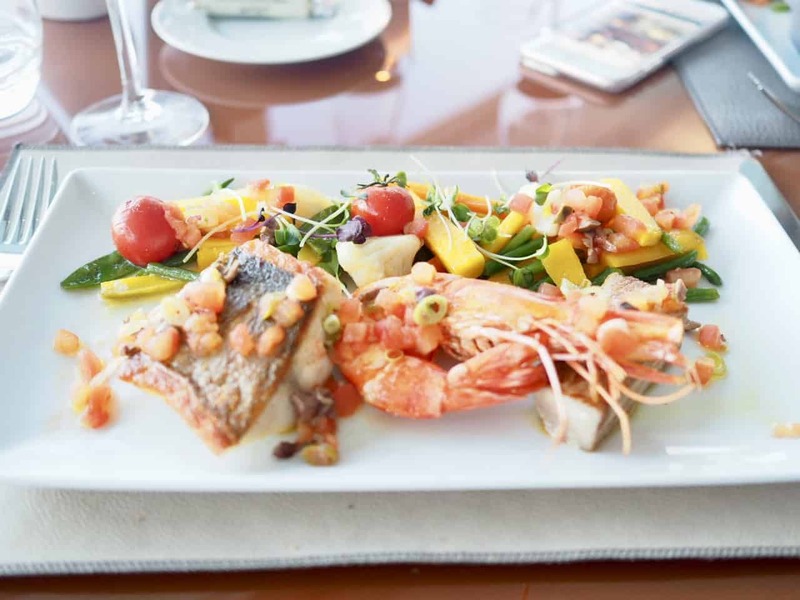 There is something tranquil and special about enjoying your dinner by the Mediterranean Sea. 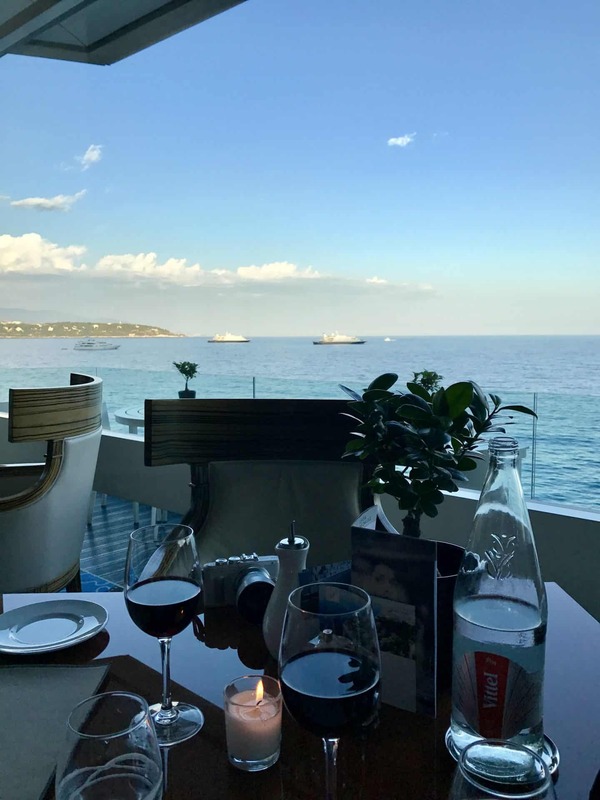 We had an amazing dinner at Saphir24 bistro, the service and the cuisine was as spectacular as the amazing view. 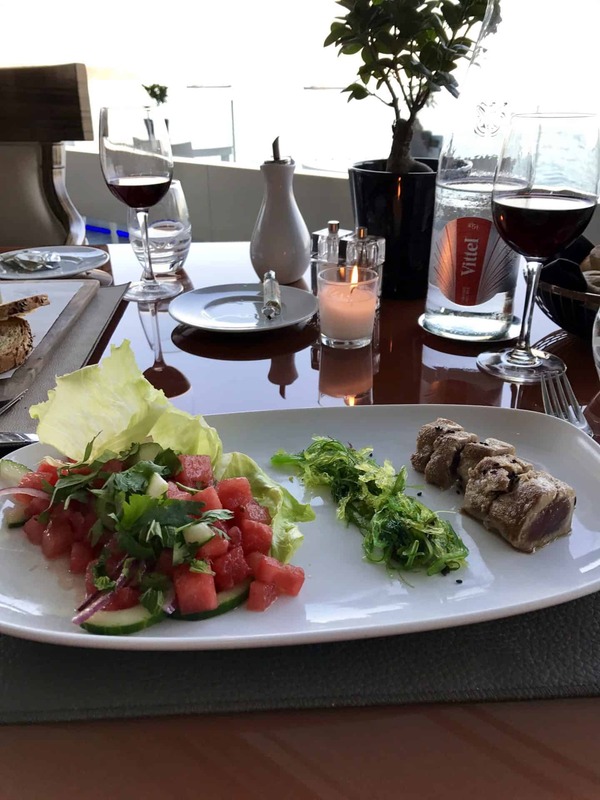 Along with this restaurant the Fairmont also boasts the famous NOBU restaurant, the Horizon Deck Restaurant and Champagne Bar and Nikki Beach at Fairmont. 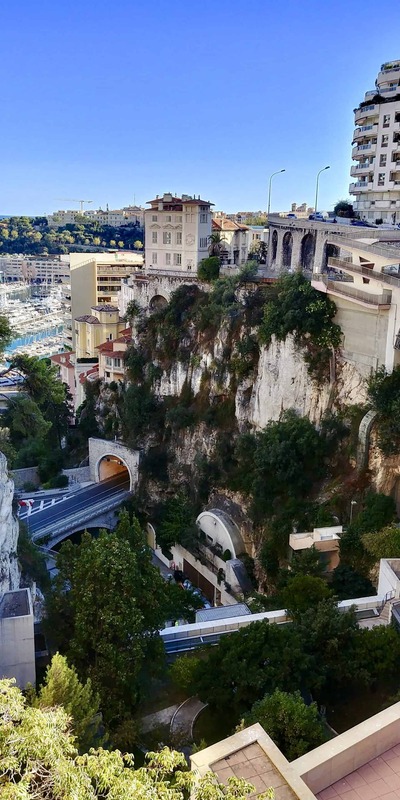 It is so easy to get around Monte Carlo. There is a bus stop right outside the hotel that will take you almost anywhere you want to go. 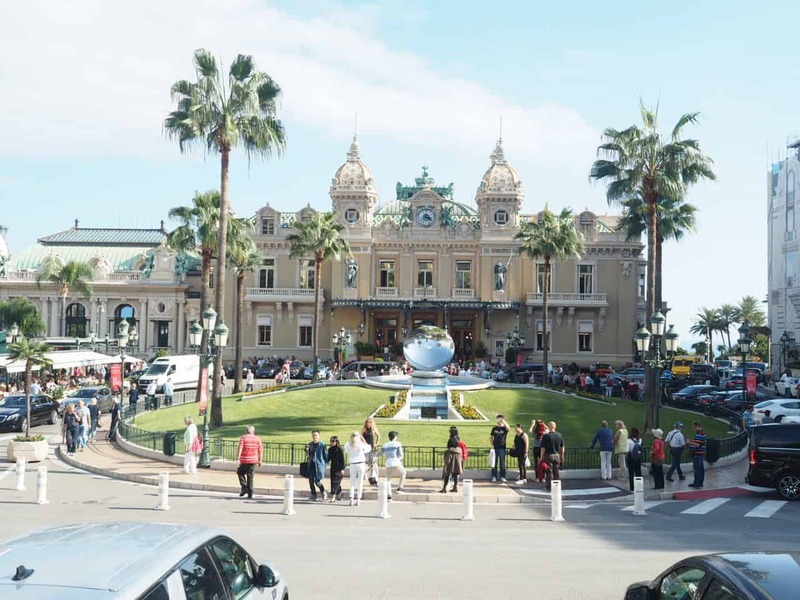 The famous Monte Carlo casino! Unfortunately this is all I can show you because there are no photos allowed inside. 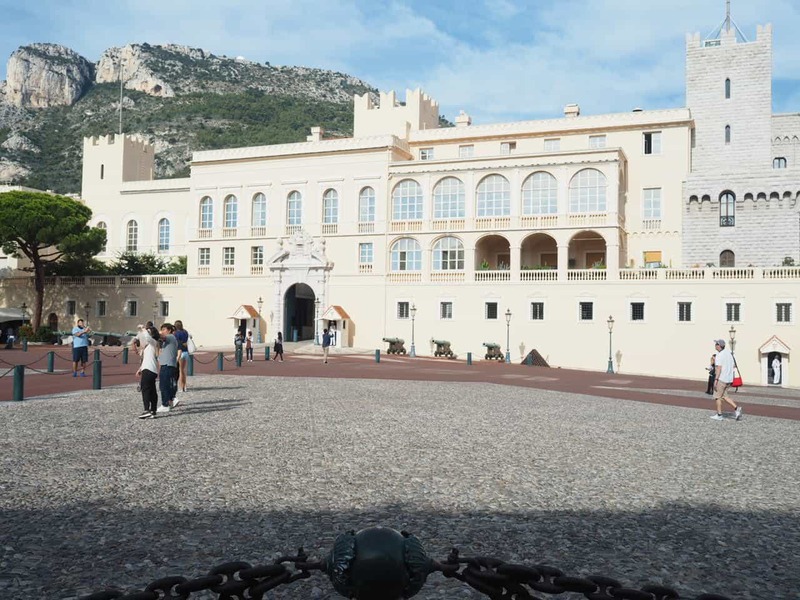 Although this resort boasts over 600 rooms (one of the largest in Europe) the concierge and hotel staff offered very personalized service at all times. The hospitality was beyond what we expected. In the tradition of the Fairmont banner this landmark hotel offers “home away from home” service that creates lasting memories. 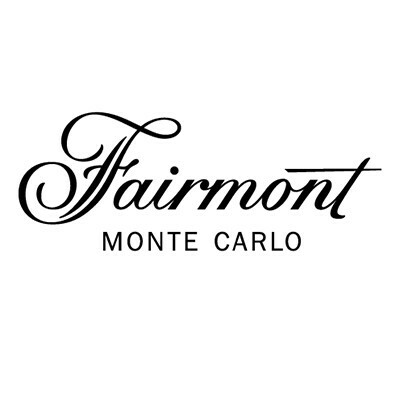 Thank you so much Fairmont Monte Carlo for an amazing stay at your beautiful hotel. So beautiful! 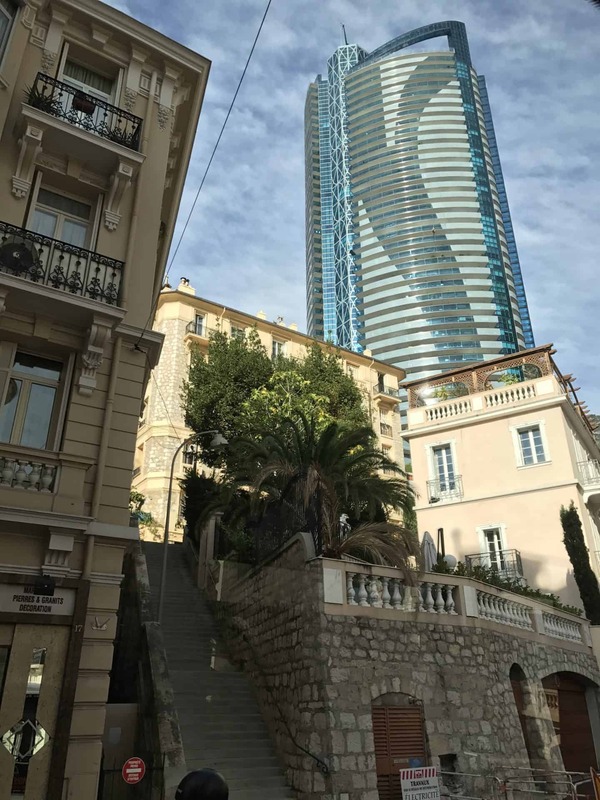 I hope to visit Monte Carlo one day! 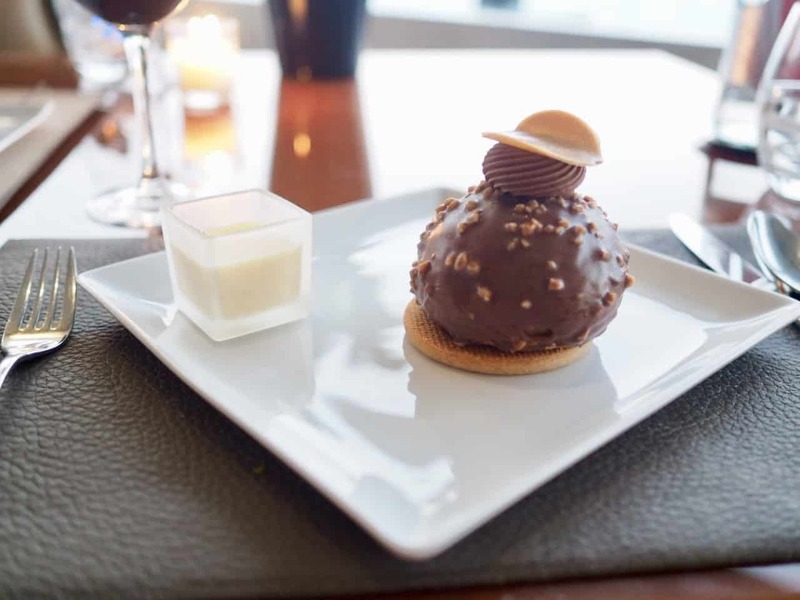 Stunning Views,Luxurious accommodations and delicious food. This post took me on a mini vacay. Oh this post!!! The places, the food and you look so lovely!